Once you’ve identified the particular niche in which you’re going to focus your business, you need to think about finding a niche market. • A group of people with specific common interests and needs. • A subcategory of a larger group of people. 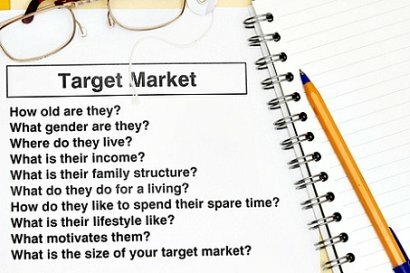 • The primary audience you’re going to target for your business. In essence, your niche market is your customer base. One thing that will surely help your business to be successful, is to always treat customers (whatever the genre) with great respect. They may not always be right but you must take care of them top notch. You see, everyone is searching for something. They’re looking for the next step to improve their lives and to meet specific needs. The key is to be able to pinpoint their major needs and either find or build a product that is designed just to solve your prospect’s most pressing stumbling block. 2. those who want to learn the same as you do. Ideally you’re a member of your own target audience, so you’ll know exactly what they’re feeling – and thus, able to better understand their fears, anxieties, ambitions and emotions. You may have gone through the same challenges and managed to overcome them. A niche market is only a segment of people and your objective is to concentrate on that one portion only. You can’t and shouldn’t set out to solve everybody’s problems. If your mindset is set that everyone is your customer, then no one is your customer. Do not put forward something that is the solution to everything and everyone. People will not regard you as an expert in your field. They will not trust you. It’s useless that you target a whole lot of people that are not interested in what you’re offering. Why have a long list of subscribers that do not even open the e-mails you send or who unsubscribe from your mailing list? In the online world this will work against you. The tighter your niche market, the more loyal your following will be. When creating or searching for a product to sell, go for something that teaches them SOLELY how to put an end to their particular problem. c. is ACTUALLY seeking to get a result of some sort - that your product solves. They want to buy a solution to what’s troubling them. If your market is too big, you’re going to have a hard time competing. As a solopreneur, you don’t have the time or resources it would take to compete in a broad market. Plus, there’s simply too much information out there, and too much competition with almost-limitless resources. Instead of finding the biggest market, find fewer audience and focus on their biggest hurdle. Distinguish yourself from what the majority is doing - stand out from the crowd. Sales pitches no longer work. People are becoming more savvy and if you don’t connect directly with your prospects, if you don’t show them you have something worthy of their time and money, you’re not going to get noticed. Express who you are. Let your potential clients understand your true values. It's what connects them to you emotionally, and what compels them to listen to you and ultimately to buy from you. Whilst attending an Internet Marketing course, we were given an assignment to write (and publish) several informative articles on a topic we were familiar with. I didn’t take me much thought. My day is mostly spent on caring for my mum who suffers from dementia. By the comments I got, it felt that I connected with my readers. From the ‘tone’ of my writing, they could feel it was first hand - that, I go through the same trauma they face daily. I can feel the pain, anger, frustration and helplessness carers sense every single day when you have to tend to your loved one who is gradually drifting away in a world of their own and can’t do anything to stop it. I was able to offer how-to suggestions which I had implemented in my daily routine, that could help other carers in the same circumstance as mine. You will be able to build a relationship by identifying themselves in you. They realize they are not alone. They feel that you understand them as you really know what it means to be going through their identical situation. You now require to define clearly the group of people you’re targeting so you just focus on them. Who can you help? Understand where your prospect is coming from. This is a process during which you find answers to specific questions as well as collect as much information about your future customers. 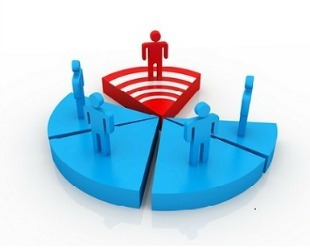 • What is your target customer’s social status? • What are some of their common interests? • What answers are they looking for? • What are they trying to get out of life? • What are their short and long-term goals and aspirations? Eventually, an image will come into focus. You’ll identify common characteristics that let you know you’re dealing with a precise type of individual. It's not uncommon that you may even picture the face of someone you know that fits the above criteria. From now on, keep this "individual" in mind. It will help you to communicate effectively with your market. And get into the feeling as if you’re speaking to that one person only!. Once you know who your target audience is, you need to solve the problem that’s bothering them. Create or look for a product that addresses THAT ONE issue in particular. Think from the point of view of the customer. When you offer a solution that hones in on a specific concern, you increase credibility. If possible, try to be the first to bring that product to your target market. By finding a niche market that’s the right size, you get in touch with the individual needs of your potential clients. You empathize with them, and you convey that empathy. Your customers know that the product you’re selling is tailor-made for them. Continue reading to find out where you can engage and interact with your audience. Apart from communicating with your market, you will also be paving your way when it’s time for you to promote your products and/or services.